Grace to you, and peace! I am very excited to announce that we have called Laurie Campbell to be the new Director of the Cathedral Preschool, and she has enthusiastically accepted our call. As you know, we began the search process last November by asking Teddi Bair to chair the search committee and engaging the national firm of Carney, Sandoe & Associates to assist with the search. The search committee has worked tirelessly ever since, identifying the qualities and experience that it sought in a candidate, interviewing a number of candidates from across the country, and ultimately inviting finalists for a series of on-site interviews with members of the faculty, parents, administrators, and, of course, students of the school. Thank you, Teddi, and thank you to the other members of the search committee and all who participated in the search! During this extensive process, we met a number of wonderful candidates. It was difficult to choose among them because they each offered different talents and experience. In the end, though, Laurie emerged as the candidate that was, in my opinion, best suited to honor our past while embracing the future. She is the kind of person who naturally reflects the wonderful spirit that has for years put smiles on the faces of our children and parents. Yet, she is also the kind of person whose broad vision and deep experience will allow her to lead the school in making the kind of changes that our strategic planning process is considering as necessary for us to continue to be a leader in early childhood education. 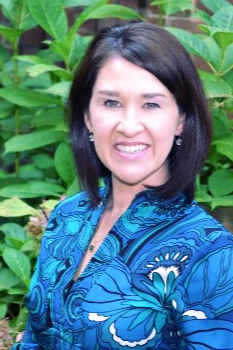 With deep and proven experience in education, including twelve years as the Director of First Presbyterian Preschool, Laurie Campbell knows and loves the field of early childhood education. She is trained in the Orton-Gillingham approach to teaching reading, she has experience as a teacher and an administrator in both public and independent schools here in Atlanta, and she has demonstrated a sustainable passion for working with students and advocating for teachers. Laurie understands that what we do in preschool sets our children up for success not only in kindergarten and the first grade, but also for the rest of their education journey. She knows that good beginnings have no endings! I am thrilled to be preparing for the next chapter of our Cathedral Preschool. Please join me in welcoming Laurie to our community and to our children!